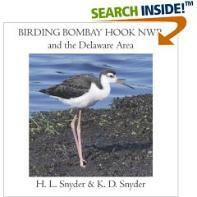 offers a 40 page photographic tribute to a wonderful birding spot in Delaware. are too much of a draw to keep us away! sight you will hold in your memory forever. A few scenes from "Birding Bombay Hook NWR and the Delaware Area"
There are plenty of bird pictures from Bombay Hook throughout our blog pages - enjoy!